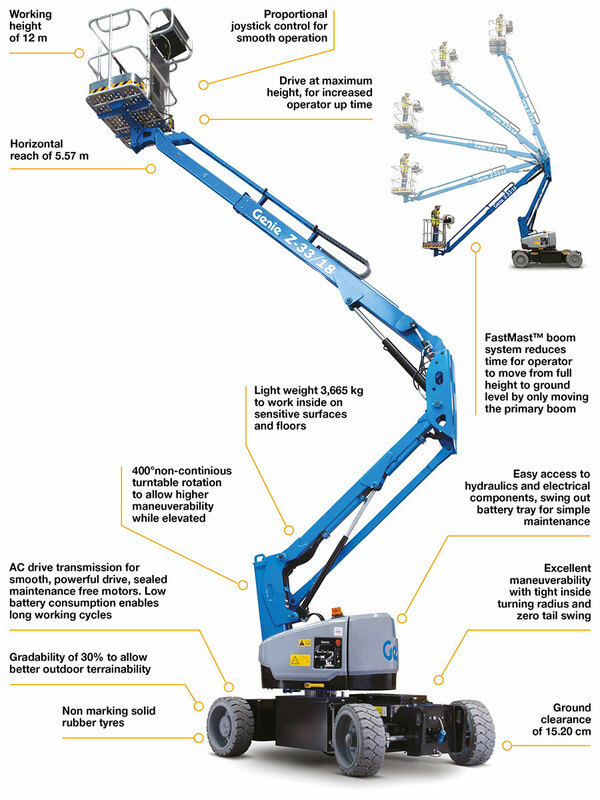 Designed for both indoor and outdoor maintenance applications, the new electric Genie® Z™-33/18 lightweight boom lift is notably well-suited to tasks on sensitive surfaces where space is restricted. Aluminum man-basket. ** Gradeability applies to driving on slopes. Gradeability may vary depending on the weight of options installed on machine. See operator’s manual for details regarding slope ratings. *** Estimated data. Final floor load data will follow after start production.